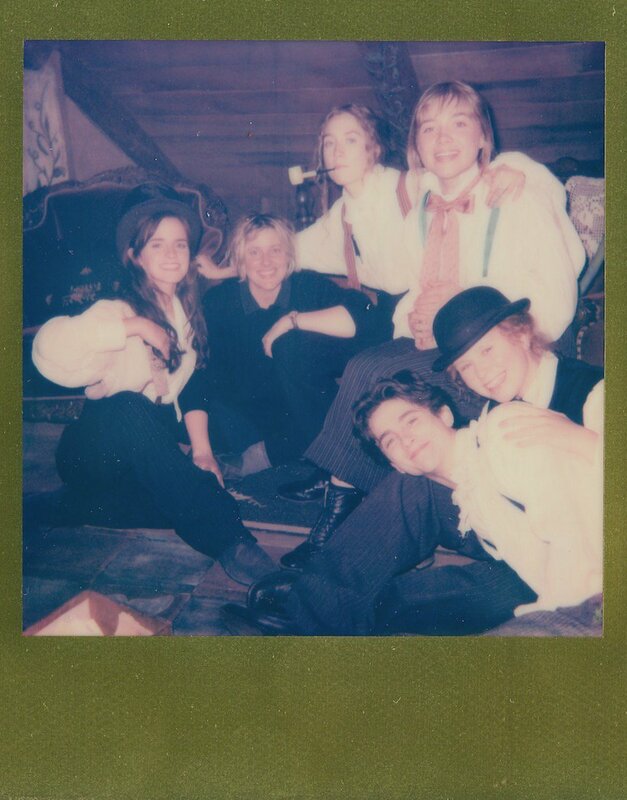 As you may be aware, Greta Gerwig is filming her adaptation of Louisa May Alcott’s 1868 masterwork Little Women. This version is set to star Saoirse Ronan, Emma Watson, Timothée Chalamet, James Norton, Florence Pugh, Chris Cooper, and Meryl Streep, and is slated for a Christmas 2019 release. In the last couple of years alone, there’s already been a TV miniseries and a feature film, and in my opinion, it will be difficult to improve on (the best) Gillian Armstrong’s 1994 version. Christian Bale is my forever Laurie. No one was bratty like baby Kirsten Dunst. When I said stay home, I meant stay home. This casting is so perfect. No matter… Little Women is a perennial springboard for many imaginations. Under the name A.M. Barnard, she wrote stories with somewhat opposite themes as Little Women. Gold-digging, revenge, adultery, murder, stealing, deception, betrayal, blackmail…you name it, A.M. put it in a story. This is stuff that would have given Professor Bhaer an attack of the vapors. Much like Jane Austen and the “horrid novels” she loved 70 years before, Alcott had a taste for less rarefied stories — and was able to make it pay. In 1862, she wrote in her journal, “Rewrote the last story, and sent it to L., who wants more than I can send him.” “Behind a Mask” is among the most interesting of this melodramatic oeuvre. The story takes place in contemporary England and concerns a penniless governess who arrives at a great house and ingratiates herself with its inmates, the wealthy Coventry family, except for the oldest son and his cousin, who don’t trust her from the beginning. Only they can sense — spoiler alert: rightly so — that the demure young woman is nothing like what she seems. I’m not going to say much more about the story, other than it’s short enough to be effectively adapted as a feature film and twisty enough to keep people guessing until the last scene. It ought to be helmed by a woman, in any case, someone who can portray the 19th-century social/class differences without bogging the story down, as they are integral to the world Alcott writes about. Perhaps Gerwig, Sofia Coppola, or Gurinder Chadha (Bend it Like Beckham, Bride and Prejudice) would take it on. Quotations from Behind A Mask: The Unknown Thrillers of Louisa May Alcott. Edited and with an introduction by Madeleine Stern. Harper Collins Perennial, 2004. Posted on 17 December 2018 18 December 2018 by PaulaPosted in FeaturesTagged literary adaptations, Literature, louisa may alcott, short fiction. Next Next post: Announcing the 31 Days of Oscar 2019 Blogathon! I’m with you I think. Don’t see the reason for another adaptation, but I love Gerwig so it could be good. She showed in LADY BIRD that she understands women as people and also social/economic differences, so yeah, it could be. I’d love to see this adapted into a film! It sounds very suspenseful and thrilling! Doesn’t it? If I had the dough, I’d buy the rights myself.